Total BC has proudly established itself as the leading provider of managed it services and have helped small business owners lower costs and improve efficiency with their phone systems. With over four thousand satisfied customers the Carolina's you can trust that we have the right products, technology and solutions to improve your current business phone communication. Total BC takes a unique approach with every customer in order to learn their specific issues and needs, and effectively assess problem areas with improvements to overcome their challenges and improve their business phone systems. 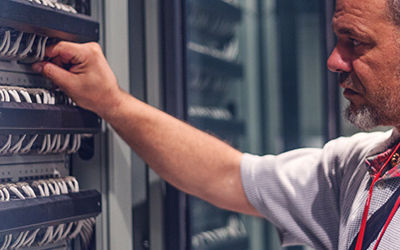 The majority of the time, managed IT services are presented with a remote monitoring and management system (RMM) that enables an IT expert to monitor the health and performance of customer IT assets 24 hours a day, 7 days a week. You can count on our team to perform maintenance and diagnosis of your IT needs, responding quickly during any critical issues. According to the Computing Technology Industry Association, end-users experience almost 90% longer periods of downtime when the network server is not covered by remote monitoring. Many managed it services related tasks have been performed on a system-by-system or site-by-site basis. TotalBC is able to automate many tasks across systems and customer sites, which in turn only significantly reduces the time required for an expensive staff to go on-site and properly assess your problems.